Belissimo is an Italian word that roughly translates as 'lovely', and is often used in the context of delicious food. There's now an online Poker machine that aims to bring belissimo gameplay to the many casinos that use software from the Microgaming developer. It's a classic fruit machine that has just 3 reels and 5 pay lines, which is a style that people seem to either love or hate, but it’s always worth trying out as they can come with some frequent and generous winning spins. The design is typical of this type of pokie, having the reels squashed into one corner, a paytable and a big picture that defines the theme, which in this case shows us a smiling Chef tempting players with a nice-looking pizza that he’s just concocted. It’s perfectly serviceable and fans of 3-reelers are unlikely to complain as the real point of these games is spinning the reels, not looking at pretty pictures or flashy graphics. Pokies don't get much simpler than this one and it's so straightforward that it can't really justify being called a fruit machine as there are no symbols of fruits, vegetables or much else to be honest. Virtually everything that's going to land on the reels following a spin are the Bars and a single 7. At least the Bars come in single, double or triple versions, plus the Any Bar icon that helps to complete winning combinations and the 7 makes a token contribution to the theme by being in front of a pizza oven. 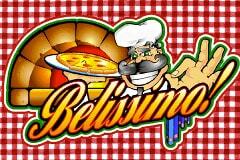 The only symbol unique to Belissimo is the Pizza Chef, who acts as a wild symbol, meaning that he can substitute for others and help to complete winning lines. He also has the power to trigger the biggest wins, which will be paid out if three Chef symbols land across any of the lines. 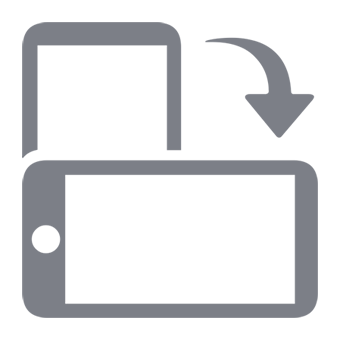 All players need to do is select how many lines they will wager on and how what value they want for each coin. Between 1 and 5 coins can be chosen, which corresponds to activating between 1 and all 5 lines, with the value of a coin being determined by clicking the + or – buttons. This will adjust the amount that each coin is worth from 0.25 up to 5.00, equalling a maximum stake per spin of 25.00. With only 3 reels, the layout of paylines is very simple, with 3 of them running horizontally across and the other 2 being diagonal lines. As users choose how many lines they are going to play, a little chart lights up so that they know exactly what they are betting on before the spins commence. That’s the difficult bit over with, as pokies like this don’t give players many other options, they just get to spin the reels and see what happens, which many will find nice and relaxing, while others may see it as a bit too sedate and lacking interaction. So what winnings can players expect, you ask? It’s all laid out on the paytable which details how many coins will be won for each combination. The wins start at just 4 coins for Any Bar combinations and go up to 80 coins for a line of 7’s, and while the Chef helps to complete these lines, there’s no bonus payout for wins created this way. Full lines of just the Chef are what players really want, as he brings in anything from 2,500 to 5,000 coins, depending on which lines he fills. Those who like old-style 3 reel games will find little to complain about here, although conversely there’s not much that hasn’t been seen on countless other Poker machines. All that differentiates it is the Italian Chef theme, and those who don’t enjoy this type of game are unlikely to be switched on to them just by playing Belissimo.